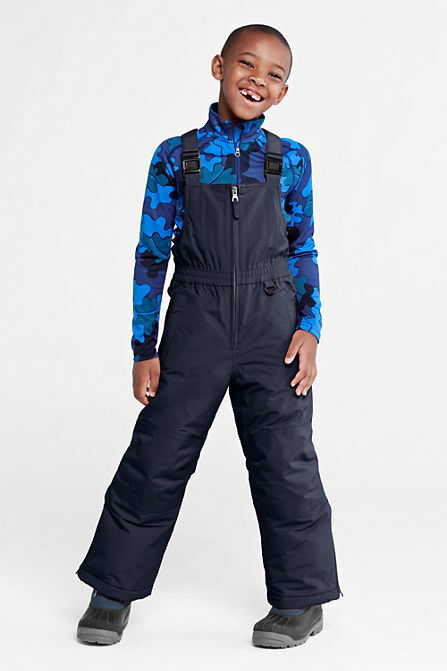 If winter is a reality where you live, you know that one of the absolute necessities for snowy days are kids' waterproof pants. Because how else would you let them roll around in the snow? Currently, the price on Waterproof Squall Snow Pants at Lands End is the lowest of the season, only $19.99-$24.99 (reduced from $59)! If you compare prices with other brands, you'll see that it really doesn't get better than this. Price aside, I cannot say enough good things about these pants. I've been buying them for my kids every year since they were toddlers. Made with PolarThin™ insulation for warmth without weight, the pants are completely waterproof and windproof. The knees and seat are reinforced with a double layer of nylon. There are snow gaiters at hem to block out the cold and the slush. The construction and the fabric is very durable, quite simply - these pants are made to last! The pants are available in regular, slim and husky sizes for a perfect fit. 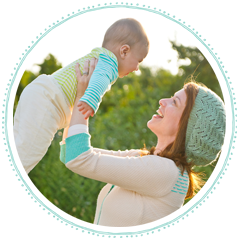 Sizes range from Toddler 2, all the way up to 20! 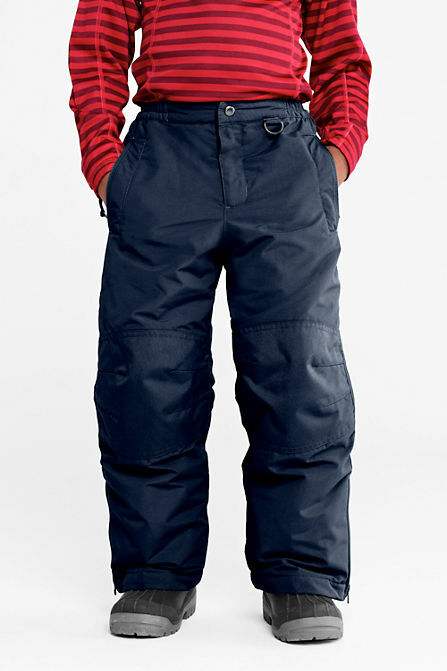 Technically, the size 20 can fit some men (Let that sink in, mens' snow pants for $24!). This year, I got the slim version of the boy's pants for my daughter, since the girls' version was not available in the color I wanted. The fit was perfect. 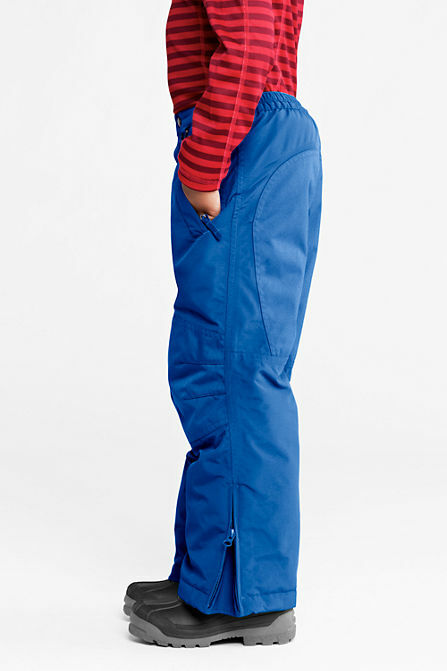 Lands End also sells Waterproof Squall Snow Bibs, which my son used to wear when he was smaller. Same great quality in an overall look. The Squall Bibs are available in all sizes from 2 to 20, just like the pants.